Or maybe the home you’re in simply doesn’t fit your life anymore. Maybe you want to do more entertaining, but your kitchen and family room just don’t lend themselves to having people hang out. Maybe you simply want a lighter, more airy feel in your home. Whatever it is, you’re ready for a significant change. Your two most obvious options are to remodel your existing home—or to move into an entirely new place. Which one makes sense for you? Is remodeling better than moving? Or is a completely new start the right way to go? The answer isn’t the same for everyone. Here are a few key questions to consider before you make that decision. Why did you move into your home in the first place? What were the things that attracted you to the place where you currently live? Was it convenient? Did you choose it because it had great views? Did you like the neighborhood? Are those things still valid? If they are, bear in mind that you can change your home dramatically—but it’s awfully hard to change a neighborhood. What are the real costs involved in remodeling or moving? A major remodel of your existing home isn’t cheap. 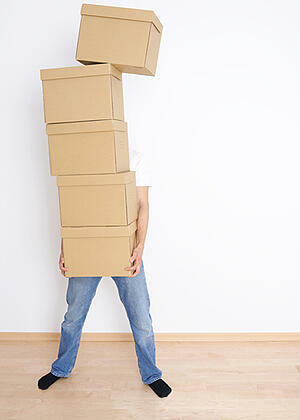 But there are often costs involved in moving that are easy to gloss over. There are costs for selling your home and buying a new one—and there are costs involved in the move itself. Before you make your decision, make sure you’re looking at all of the associated costs. If you love your neighborhood and the and don’t relish the stress of moving, remodeling may be the right move for you—even if you want to make some dramatic changes. We can help you envision those changes—and make them happen.